Most people can intuitively decipher what a static and digital billboard represent so we are going to discuss the latter of the three, Prismavision billboards. Prismavision is often referred to as the “three-message sign”, why? Well, Prismavision’s name comes from the way it works “Prismavision” which uses prisms to display content, other names for Prismavision include Prismatic Display, Trivision, Three Message Sign, Tri-Face or VMS’s (Variable Message Sign). Prismavision billboards consist of long vertical triangular prisms that are skewered by a rotatable poll. These polls pivot 120 degrees to show a new message each time. Each of the three sides has a new image and message across it. The rotatable poll allows for each new message to be displayed based upon a predetermined time interval. All of the prisms will rotate to the right or the left in order to present the new combined image slits marketing message. 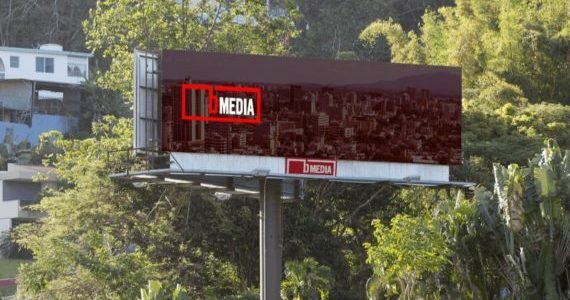 The clear advantage of the Prismavision is its ability to host three different messages on one billboard traffic location. This is desired as it decreases the cost of the hosted billboard ad as well as offers creative marketing opportunities. One creative use is to purpose the rotation to display a message in the morning, afternoon and night. For instance, McDonald’s could display its Egg McMuffin on the way to work in the morning and its Big Mac at lunch. Another application could be to build a message by using all three in chronological rotation. This tactic allows you to engage the viewer for longer and display more information than on static outdoor media. The Prismavision’s rotational movement does more than just allow for multiple messages to be displayed. This rotation catches the attention of the viewers and has been proven to increase the impact of the message’s awareness. The billboards movement also builds anticipation as the new message unveils itself to the public. In a world where digital imagery is becoming routine Prismavision can help to stand out from the crowd with its unique mechanical intrigue. While Prismavision’s practical implications are still very current in today’s billboard marketing landscape it is not a new invention by any means. In fact, the first patent for a motorized display dates back to the very beginning of the 1900’s – over 110 years ago! Prismavision is an undoubtedly great way to cut costs and grab people’s attention, but it is not boasted as the most common form of billboard advertising. 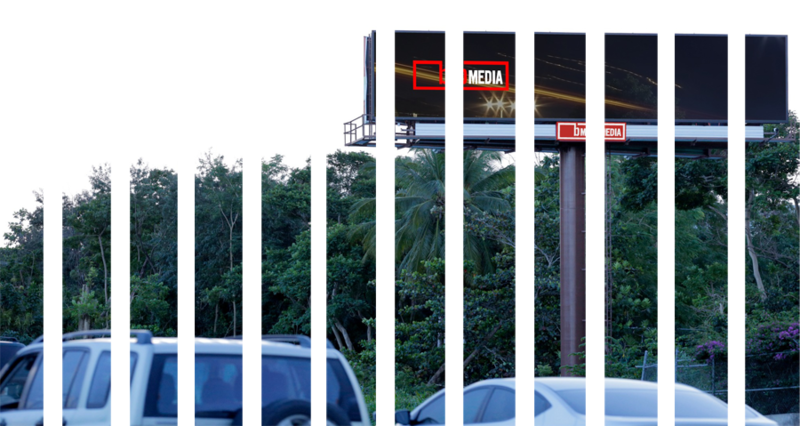 Prismavision billboards can be very hard to come by especially on the island of Puerto Rico. But you’re in luck! 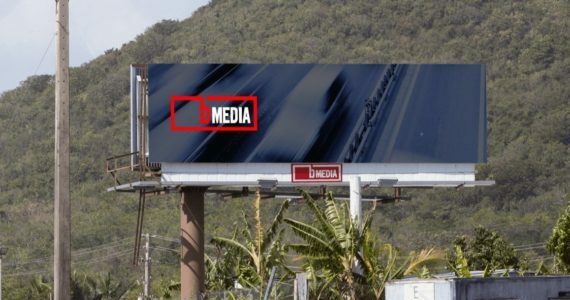 bMedia has two Prismavision Billboards on the island that you can chose from to promote your brand’s message. You can decide to purchase all three sides or cut your promotional costs by just acquiring one of them. See below for more details.